Stay Lucky This Friday 13th! We are so obsessed with the concept of luck that we have gathered stories about good luck charms from all over the world for you to enjoy and maybe even learn a thing or two. Our list has everything from extremely well-known talismans such as horseshoes and four-leaf clover, to the strangest ones, like pigs made out of marzipan ... Check it out! Have you ever wondered why the Chinese believe that the eight is a lucky number, or where the custom of wearing that pendant to ward off the evil eye came from? Well, here you can have fun with these and other curiosities and maybe even find a new good luck charm to get the fates on your side! Lucky charms or amulets are objects that, according to popular tradition, provide protection to the person who possesses it against bad luck, danger or disease. The word amulet comes from the Latin amuletum, meaning the 'object to be used for defense'. They generally have animal or mineral origin and their characteristics naturally vary between the peoples and cultures of each country, due to the presence or absence of these minerals or animals. This explains the wide variety of amulets around the planet. Today, thanks to globalisation, lucky amulets to attract money and luck from different cultures have started to appear all around the world. In India, it is believed that by carrying the cat's eye stone, your wealth will be protected. This stone also assists in protecting unforeseen business losses and helps achieve financial stability. The caduceus is an amulet used in Greece, associated with the ability to ward off disease, as well as appease any disagreements encountered by the wearer. It is also a symbol of prosperity and luck. Also known as the emblem of Hermes (Mercury) this takes the form of a staff around which two serpents intertwine and whose upper part is adorned with wings. It is an ancient symbol, whose image can be seen on the cup of King Gudea of ​​Lagash, (from 2600 BC,) and on the the coins of the Maurya Empire in India dating back to the third century BC. 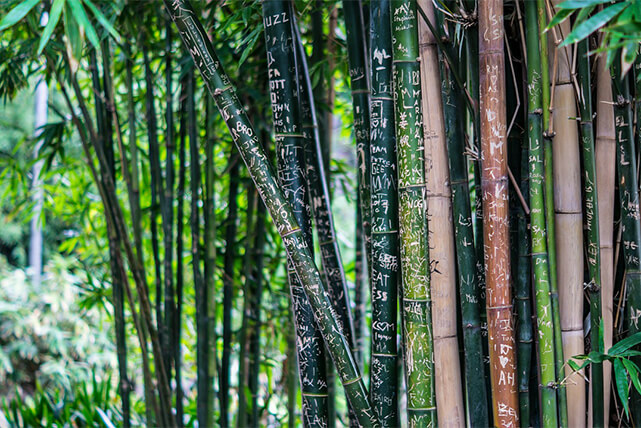 In Chinese culture, bamboo represents luck, money and achievement. According to Feng Shui principles, if you put a bamboo plant in the Southeast sector of your home, your luck will be multiplied. 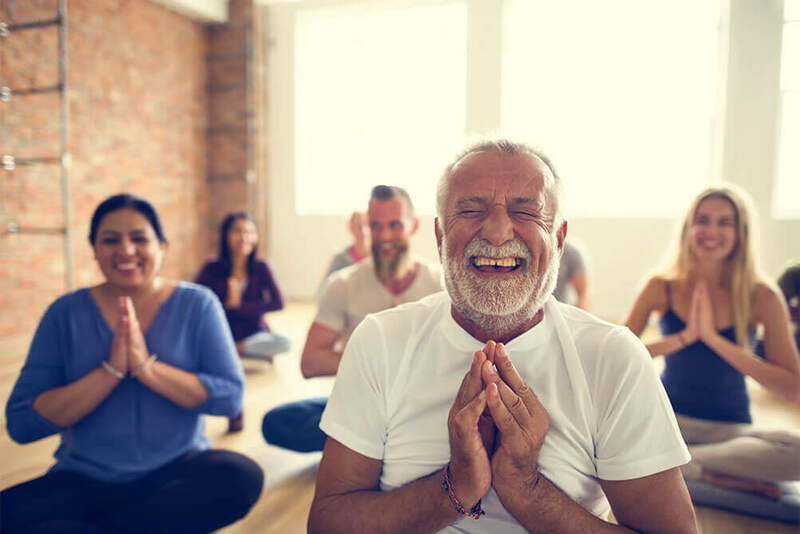 Hamsa is used not only as an amulet against the evil eye, but also as a talisman that helps to dispel negative energies and bring happiness, luck and fortune. It is also known as the hand of Fatima or hand of God and is a symbol commonly used in Middle Eastern cultures against the evil eye. Ancient Egyptians believed that by placing ladders in tombs, souls would find their way to heaven. For this reason, the ladder today represents a symbol of luck - just try to avoid walking underneath them. The origin of the use of the horseshoes as protective talismans originates in Europe, more precisely in Ancient Greece. This was because iron was the most powerful of the elements that protected them from all evil according to the Greek tradition. Saint Dunstan, who worked as a blacksmith in the 10th century, added to the legends attached to horseshoes. He nailed a shoe onto the devil and only removed it when the devil agreed to never enter a house with a horseshoe above the door. Opinion is mixed, however, regarding whether the horseshoe should be nailed facing up or down. The English used to carry dried acorns during the war with Normandy, to protect themselves against the brutalities that awaited them. These were considered symbols of luck, prosperity and power. They have, in fact, been considered sacred in many cultures over many centuries, for they have a strong connection to magic. 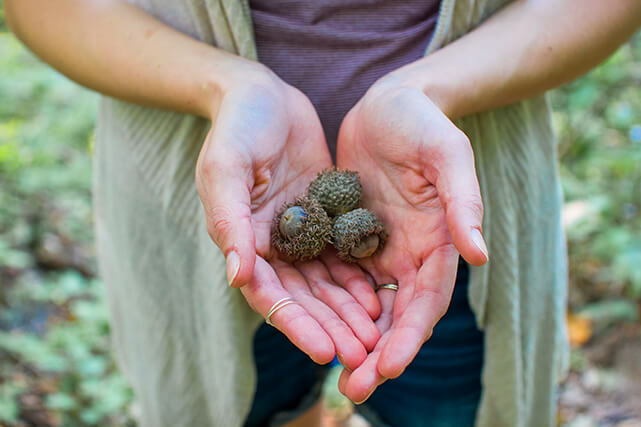 It is good to remember that the acorn comes from the oak tree, which has long be associated with the supernatural. Eggs represent fertility and rebirth and in England to give someone a white egg means to wish luck. But by doing the same with a brown egg, you will be wishing both luck and happiness. One of the most famous lucky symbols is the 4-leaf clover. Legend has it that when Eve was forced to leave paradise, she brought with her a 4-leaf clover to ensure good luck. But it seems to have become a good luck symbol because of its rarity in nature. In addition, the number 4 is considered magical in many cultures, for several reasons: they are 4 cardinal points, seasons of the year, alchemical elements (earth, air, fire and water) and even the phases of the Moon. In Ireland clover is referred to as Shamrock, which has become the national symbol thanks to its association with St Patrick. Although it was actually popularized in Brazil, figa is Italian in origin. Called Mano Fico, it was also used by the Etruscans in the Roman era. This good luck charm represents femininity and is believed to ward off the evil eye. Dreams are influenced by both good and bad energies. 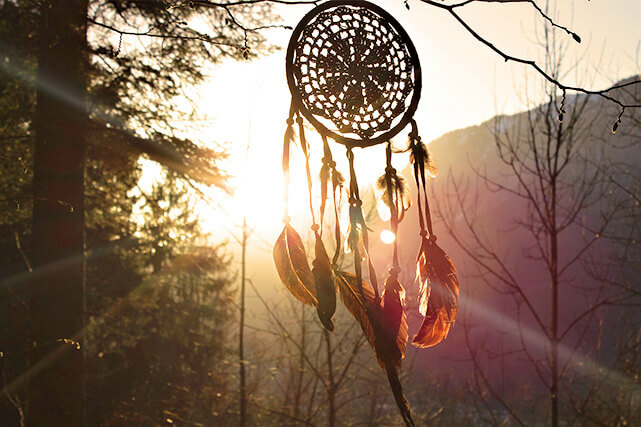 The function of the dream catcher, (which is of Native American origin), is to drive away intrusive and negative energies that, trapped in the web, dissipate with the first rays of the sun. The Tumi is a sacrificial ceremonial ax distinctly characterized by a semi-circular blade. In Peru, it is common to hang the Tumi on the walls or doors of houses, with the intention of attracting good luck. In Poland, where it is traditional to eat carp on Christmas Eve, it is believed that keeping the scales of this fish in your wallet brings prosperity and luck throughout the new year. Nazar, also known as the Turkish eye, is an amulet designed to protect against the evil eye. In this way, it is seen as a symbol of luck and prosperity. The Chinese tend to use this number in choosing dates for important events and decisions. The Chinese word for "eight" and the word for "wealth" are very similar, so they believe that this number is extremely lucky. 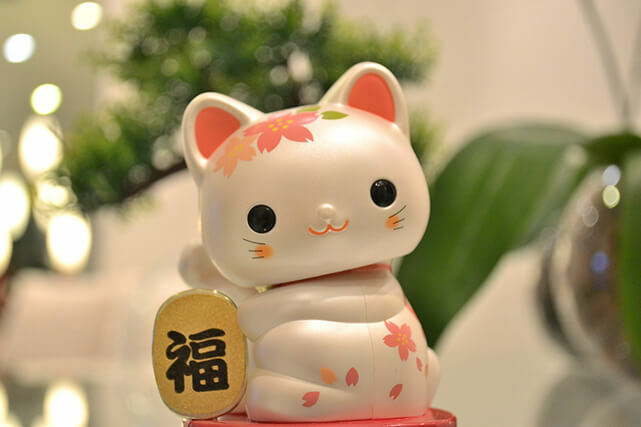 Also known as the Lucky Cat in the Japanese tradition, it is associated with happiness and good fortune. The raised right paw means good luck and wealth, while the left attracts clients to your business. When the Aboriginal people arrived in Australia they believed that frogs brought the thunder and rain necessary to grow their crops. The frogs soon became a symbol of prosperity, abundance, and good fortune. In German culture, pigs represent wealth and prosperity. In the New Year tradition has it that we should offer a piglet made in marzipan to those who will appreciate it and for whom we wish good fortune. These animals represent wealth and prosperity for the German people because in times past to possess one or more pigs meant to be well stocked, especially for the harsh and rigorous winters of Germany. Native Americans considered crickets to be lucky. So much so that imitating the sound of a cricket was seen as an extremely disrespectful act. Due to their high levels of intelligence and long life, elephants represent wisdom and longevity. 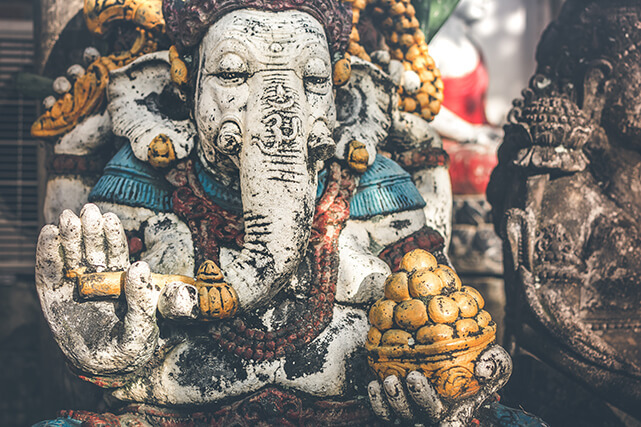 They are considered to be especially lucky in India, where the god Ganesh is the obstacle remover and bearer of good fortune. In fact, the symbol of the elephant is seen as having many different meanings, and depending on the culture and country it can be seen in either a positive or a negative light. In China, the red bat is thought of as being able to ward off evil. Being seen as a symbol of longevity and good fortune, they are also often associated with amulets to bring happiness to your life. In Egypt it is believed that the beetle is the symbol of the rising sun and protector against all evil. They are seen as bugs that bring luck, and represent rebirth and transformation. Dalarna's horse is a widely known symbol of good luck in Sweden. Many believe that this symbol also represents strength, loyalty, wisdom and dignity. As you can see, the desire to attract luck is universal in humanity, regardless of time or geography. 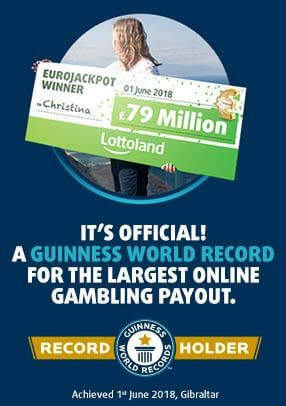 If you are feeling that your luck is in, why not have a bet on one of our lotto betting products here at Lottoland, the hottest site on the planet!